Are you thinking of turning your cooking skills into a catering business? Now is the best time to get into catering. 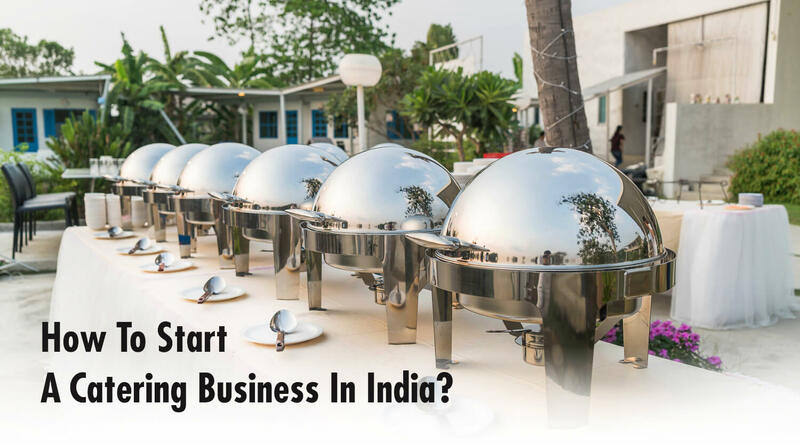 With the boom in corporate businesses in India, the demand for catering businesses has also consequently risen. Catering is required at all places, ranging from IT firms, hospitals, schools, colleges, malls, etc. and provides employment to a large number of people. If you learn the skills needed to run a business and how to keep your clients happy, you will surely climb the ladder of success soon. Being passionate about catering plays a major role in ensuring your success, but there are many other factors to take into consideration before starting your food business. Having a pre-launch business plan in place and further implementing them in a step by step manner can make this process easier and improve your chances of advancement. Before starting your business, you must know research the kind of services available around you. Check out who else offers catering services around you, go through their menus, their list of services offered and figure out makes them unique. Further, ask around, conduct a survey between your friends and family, find out if they are using catering services, and why they chose a particular one and what do they look for in a caterer. Thorough market research will help you plan your business better. Within your niche, you can further narrow your service or product offering by focusing on a specific type of food, such as health food, vegan, home cooked, upscale menus or affordable menus. Writing a business plan is important because it will give a well-defined structure to your idea and make it a concrete plan. You will have a better chance at success if you have a detailed plan to follow and you know exactly what you need to be doing. A written business plan is not a difficult document to create if you work on it one objective at a time. Every small business requires a capital investment. It is vital to create a budget in order to determine what it will cost to start a catering business and to run it once you are open for business. The budget might vary according to your needs and choices. For financial support, you may apply for a bank loan or find an investor. You, however, need to ensure that you have a proper business plan in place before applying for the same. Banks have small business loan schemes which you can avail to get the loan amount. Catering business requires a good amount of manpower and inventory, starting from, hiring the right kind of people who have the patience to work at any given hour or day of the week, to those who can listen to and understand the client’s demands. For your kitchen too, you will require assistant chefs, who will help you get ready for any catering event. For an inventory write down the items you’ll need to begin with the catering business. Also, take stock of what you have and what equipment you’ll need to purchase. You will also need to align your equipment with the kind of food you will be preparing. For example, if you are planning to specialize in desserts, then you will need extra ovens. Planning for your event ahead of time will give you an upper hand and help manage any unexpected situations or incidents. Acquiring essential licenses is one of the most important tasks in starting any small business. In the case of a catering business, you need to acquire a business license from your respective state, along with a food handling license. You also need to pass the food and kitchen inspection conducted before acquiring the license, as per the laws of the country or state. While establishing a catering business, you need to take many factors into consideration. If you want to rent some space, then check if the place offers you any partnerships such as hotels or convention halls, and whether it is easily accessible for vendors and customers to approach and avail services easily. Figure out a proper demarcated area for the kitchen in the location that you have chosen. Make sure it is not polluted and is hygienic to store and cook the food. Also when starting a catering business, you must have a logo and name which is easily recognizable. Your logo should be unique and must reflect your identity, and the name too must be in sync with the services you will be providing. Once you’ve laid the groundwork, it’s important to market your business, it’s important to promote it. Start by figuring out your target audience and then develop a marketing program to reach them. You can design business cards, personalize the stationery and create a brochure listing all the services you have to offer. You can even click pictures of your signature dishes to advertise and promote them on the menu, on fliers and via social media platforms as well. In this digital age, social media presence and word of mouth publicity are major ways to promote your services to a larger audience. Now you know that there’s more than just cooking in a catering business. But it is not as daunting as it seems, all you need is the zeal and structured planning to successfully start and manage your own catering business. If you still have any doubts about starting a food business, then contact deAsra. We can help you through the process of setting up a business and aid you in overcoming the hurdles encountered in the entrepreneurial journey. deAsra aims to provide assistance and support to budding business owners. Contact us now and let us assist you in setting up your own business.